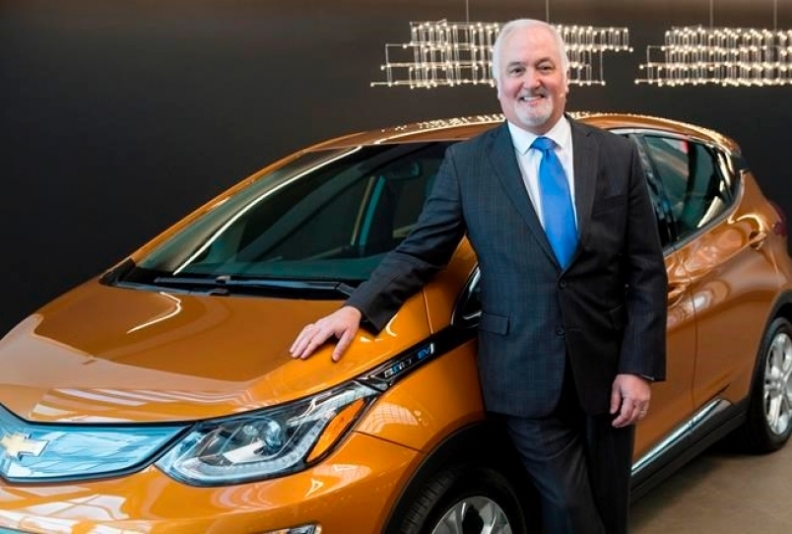 General Motors Canda President Steve Carlisle stands with a Chevrolet Bolt EV, the most popular BEV in Canada in 2017. According to data compiled by FleetCarma, 7,477 battery and plug-in hybrid electric vehicles were sold in Canada's most populous province. Despite Ontario's growth, industry analysts predict the number of electric vehicles will remain well short of the government's target that they account for five per cent of overall vehicle sales in 2020. Rather than push Quebec to match Ontario's rebates, Electric Mobility Canada believes increased communication about the advantages and a growing number of models available for sale will bolster sales. She said the federal budget next week will offer an important signal about the government's commitment to combat climate change by supporting the electrification of transportation.